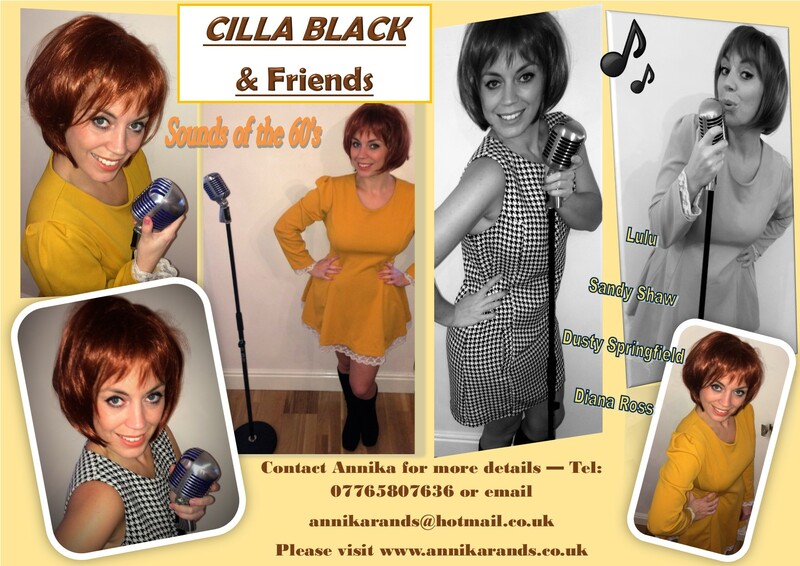 New for 2016 Annika is performing a tribute to Cilla Black and Dusty Springfield. 2 x 45 minutes in costume. She has several bookings in for 2017 and the show is proving very popular, going down a storm at The Cliff Pavilion, Southend, on November 4th 16. 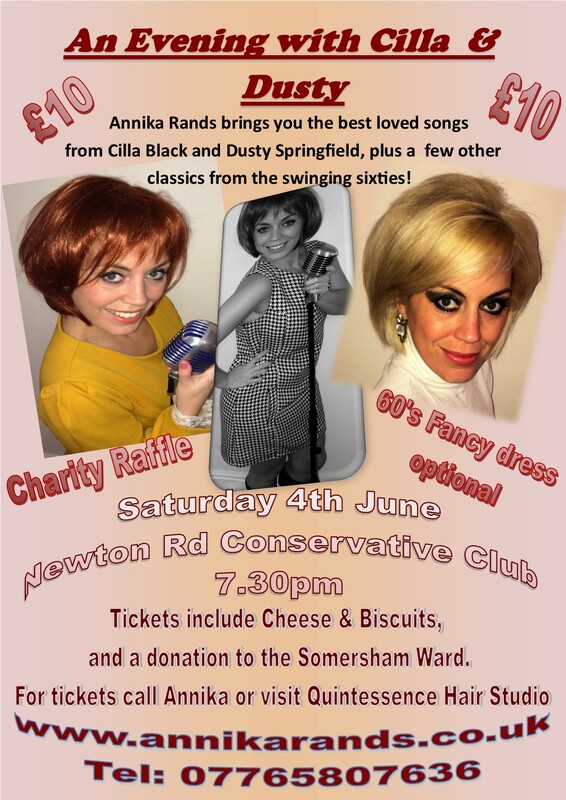 June 4th – Annika is putting on a charity Fundraiser! 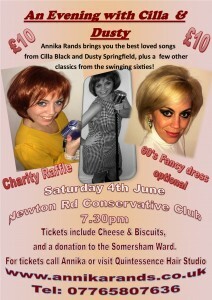 Get in contact for tickets. Featuring songs such as Your My world, Something Tells Me, Anyone who has a heart, Son of a preacher man, The Look of love, and I only wanna be with you. Fun fast paced show that can be booked for restaurants, events, care homes etc. Can be 2 x 45 mins or 1 hour format. Cilla Black songs along with the biggest songs of the sixties, featuring Lulu, The Beatles, and Dusty Springfield.